Hi Ryan I wanted to let you know that the car has been picked up from Manawatu Nissan and is running great. Thank you once again for standing behind your product! That is a excellent example of old fashioned Kiwi integrity and trustworthiness. My family and I are extremely grateful and are enjoying our new vehicle. I just wanted to write and acknowledge your great service to us, as nervous long distance - and now very satisfied customers. I also want to wish you all the very best for your future. You deserve to succeed in life and business. I hope these few words act as encouragement to keep up the good work! Quick note to thank you for the professionalism and fantastic customer service provided during my recent trade of the Alfa Spider/purchase of the Rav4 from you. 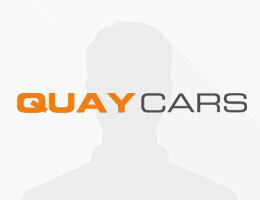 All the best for ongoing and deserved success by Quay Cars. Just wanted to touch base and say a huge thank you for your service and professionalism, the best car buying experience i’ve had to date and I’ve had a few!! All the best for your future - Terry.